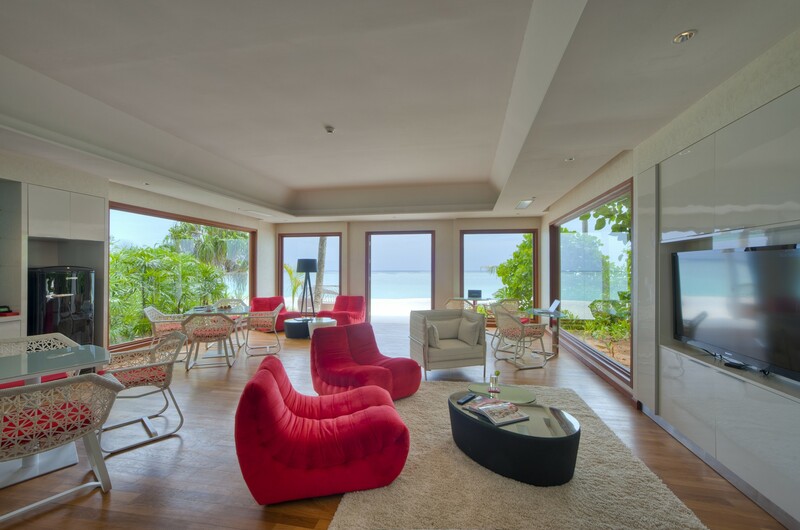 Welcome to the Beach Pavilion Villa at Niyama, one of the most luxurious and exquisite 2 bedroom beach villas in the world. 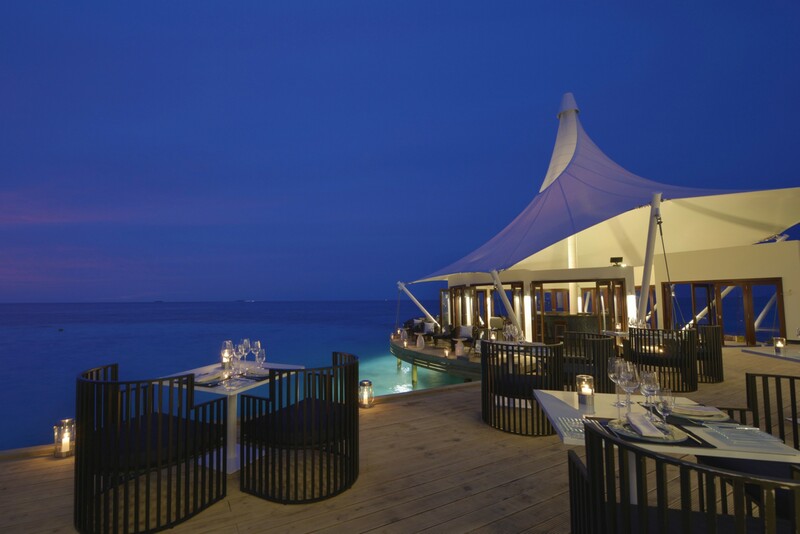 The Beach Pavilion is located within the exquisite 5 star Niyama resort in the Dhaalu Atoll within the incredibly beautiful Maldives in the Indian ocean (a forty minute sea plane journey from the capital of Malé). 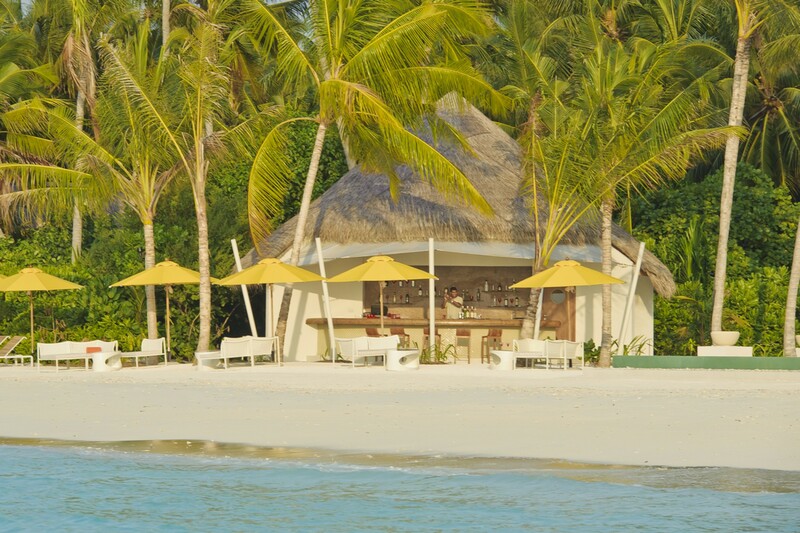 The two bedroom Beach Pavilion Villa is located on the best stretch of beach on the island. 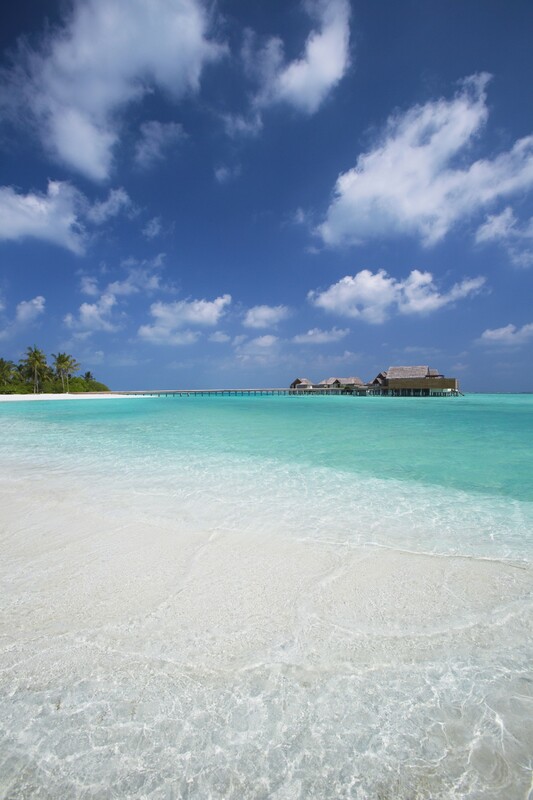 The sand is power soft and the sea is turquoise and crystal clear. 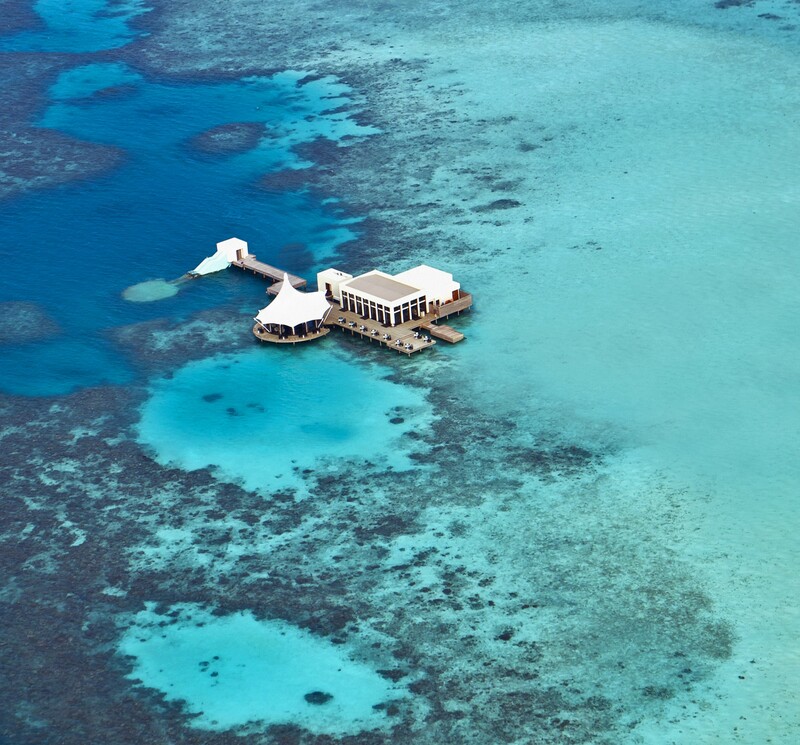 Just off shore from the Pavilion is also the best area for snorkelling. 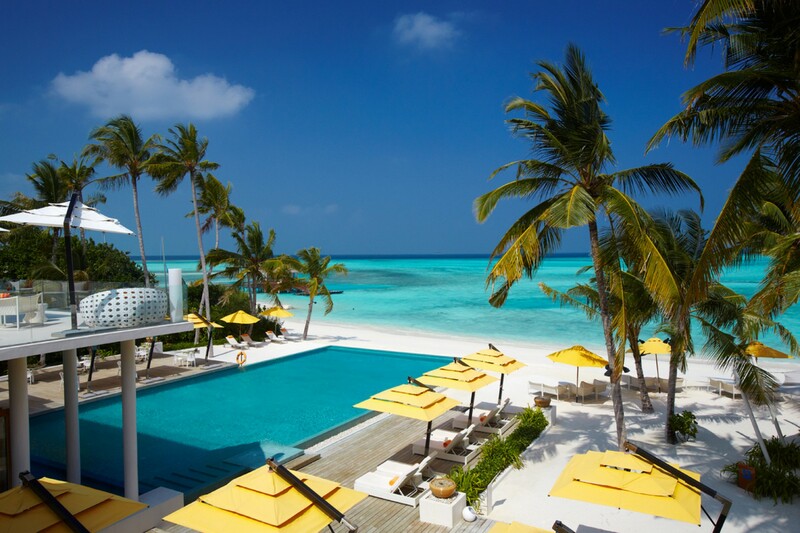 The Beach Pavilion has absolutely stunning views of the ocean, private infinity pool and Jacuzzi. A floating day bed invites you to totally unwind like never before whilst you’re private butler (Thakuru) is on hand 24 hours a day. 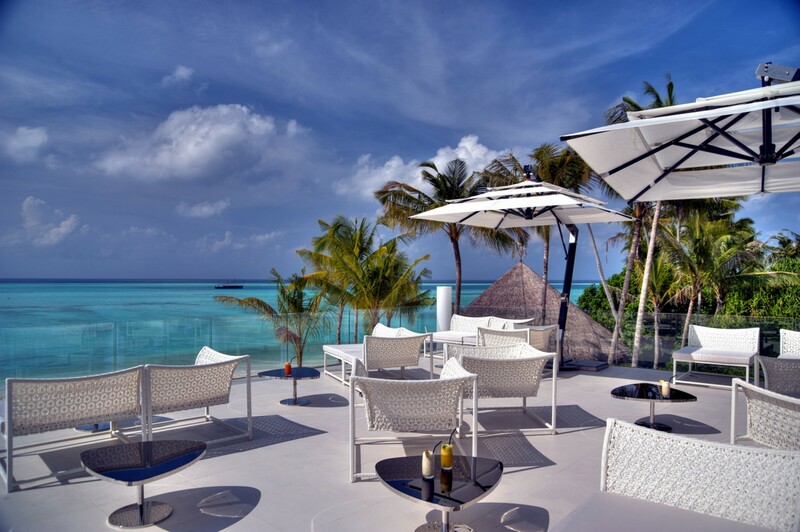 You enter The Beach Pavilion via the sitting area and your breath will literally be taken away by both the stunning view and the beautiful and chic décor. 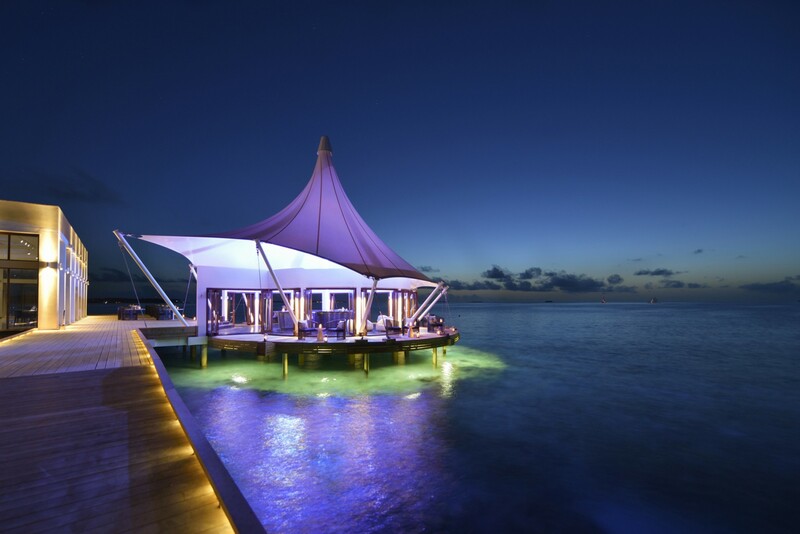 Without a doubt, the magical light and scenery in The Maldives has inspired this incredible 2 bedroom villa. 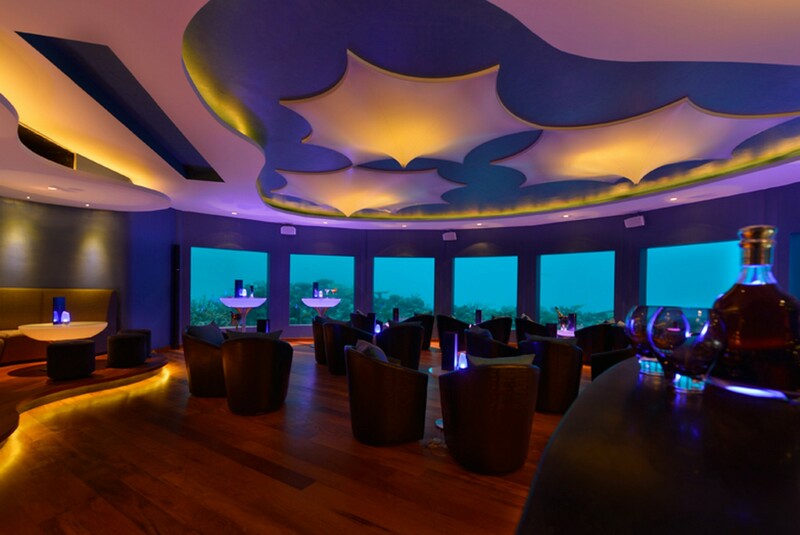 It features huge panoramic windows which open right up to take full advantage of the spectacular views. 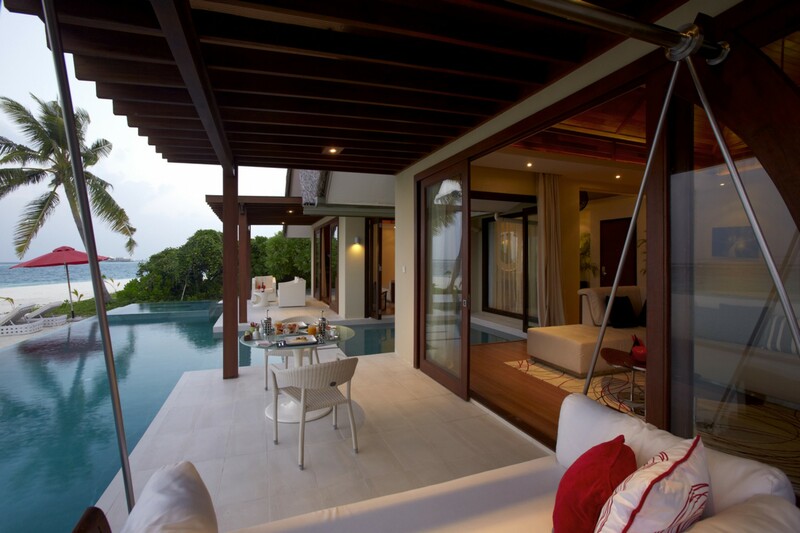 There is a unique sunken living area which leads directly onto the infinity pool. 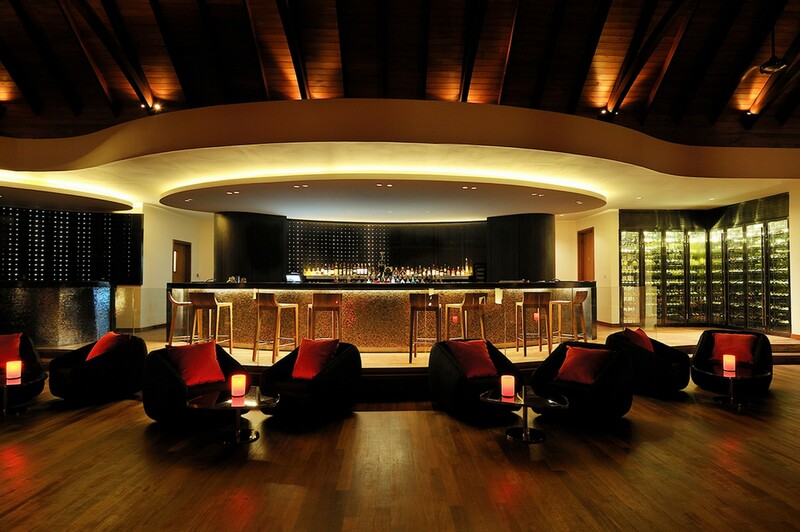 The décor is a stunning contemporary design with Maldivian teak wood. 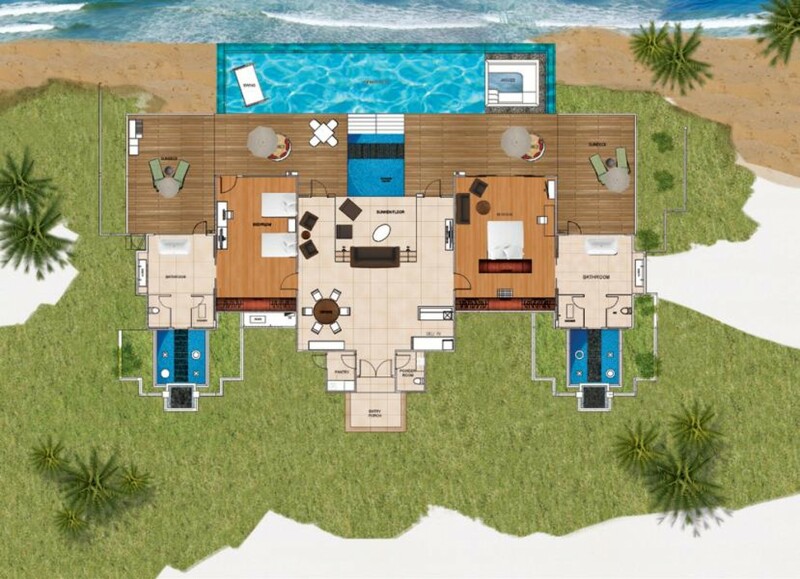 The extensive outdoor living area is literally located directly on the beach and comprises of a big outdoor deck with loungers and a beautiful al fresco sitting area. 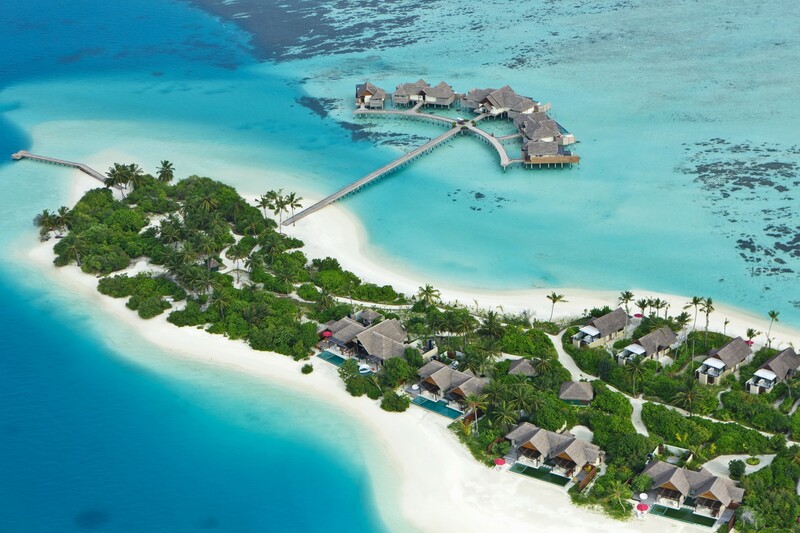 From here just a few steps and you will be able to swim and snorkel in the crystal clear turquoise waters. The two beautiful en-suite bedrooms are located at either end of the living area. The stunning master with King Bed has an absolutely stunning and unique garden style outdoor bathroom with outdoor shower and a bath with the most incredible view of the ocean. The second bedroom also features a King bed. Additional facilities include a cocktail bar area, a small kitchenette, fridge and microwave. The fridge is unique as it comes pre-stocked brimming with gourmet deli items such as cheeses, olives, cold cuts, wines, ice cream to name a few. There is also state of the art technology in the villa including in-house I pads. 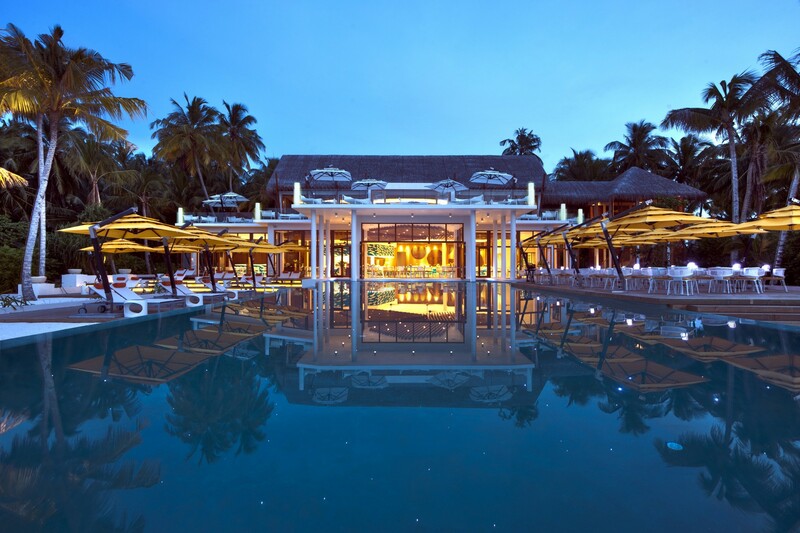 The Beach Pavilion villa Experience combines the best standards and services of a five-star hotel with the exclusivity of a private villa stay.